Invoking the rich cultural tradition of resistance in the South, BreakOUT! builds the power of LGBTQ youth to create a safer and more just New Orleans. Invoking the rich cultural tradition of resistance in the South, BreakOUT! builds the power of LGBTQ youth to create a safer and more just New Orleans. Youth members produced a film “We Deserve Better” to highlight their experiences with criminalization and their demands to end discriminatory policing practices. As part of their broader “We Deserve Better” campaign, BreakOUT! secured groundbreaking language in the Proposed Consent Decree between the New Orleans Police Department and the Department of Justice that is the most extensive in the country to date and specifically prohibits profiling of LGBTQ people based on gender identity and sexual orientation. BreakOUT! has also maintained correspondence with those inside the notoriously violent Orleans Parish Prison. 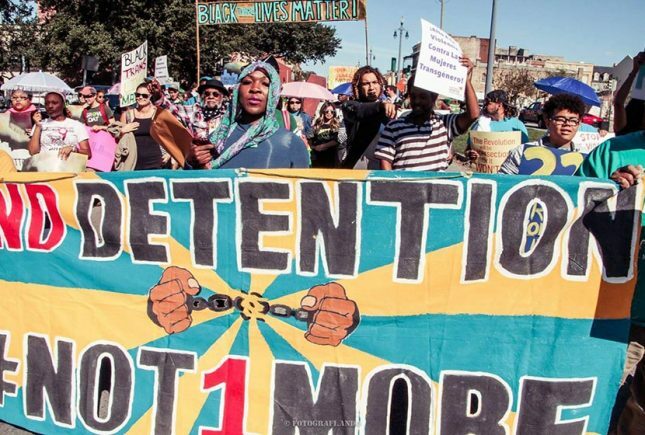 They recently published a report, We Deserve Better: A Report on Policing in New Orleans By and For Queer and Trans Youth of Color, in order to identify and move forward needed reforms. BreakOUT! continues to fight against laws that profile and criminalize their community members, and to build nationally with allies as part of the Get Yr Rights National Network.